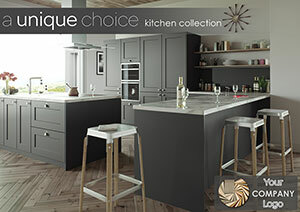 'A Unique Choice' is the consumer facing brand for all of our products. As we are a trade only company using 'A Unique Choice' allows us to separate what we do from what you do. With our custom brochure cover option, you can place your logo and company details on each brochure you order from us. Fully up to date product range including; New Avanti Stock Doors, New Aspire Vinyl Decors & New Glide Sliding Door Frame Colours. New & improved room sets for all door ranges. 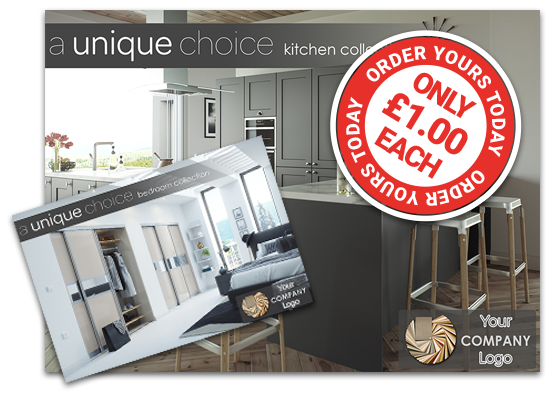 Custom cover brochures are only £1 each and can be ordered in multiples of 250. All custom cover brochures will be printed with the next print run. This is currently expected to be May 2019. All you will need to do is supply us with a high-resolution copy of your logo along with your contact details and we will take care of the rest. You will be able to see & approve your custom cover design before it goes to print. Professionalism: Delivering a brochure with your logo and company details presents a high level of professionalism to your clients. Confidence: A personalised brochure resting on a customer's coffee table brings familiarity and will help develop confidence when making a purchasing decision. Interest: Generate interest in the benefits of your products to encourage customers to research further. Action: Move the customer to interact with your company through a call to action, e.g. 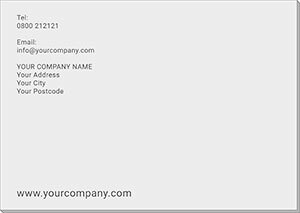 Your phone number or showroom address on the brochure cover. Simply log into your HPPOnline account to order your brochures. If you haven't already got an online account you can register for one today.